Inspired by dadaism and classical music of Japan musical performer and installation-artificer, in his works using own-built instruments. Through developing movement-animated, half-autonomous sound machines he explores the bodily aspect of creating and performing music in it’s spatial/sound function. 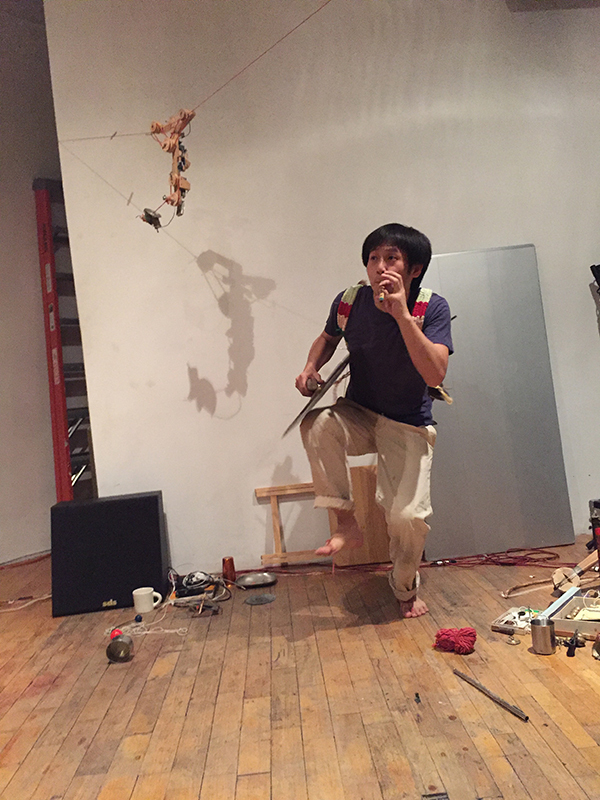 By building his sound installations Nao Nishihara sets his goal in awakening the sensitivity and openness towards environment by stimulating the primal curiosity for sound. 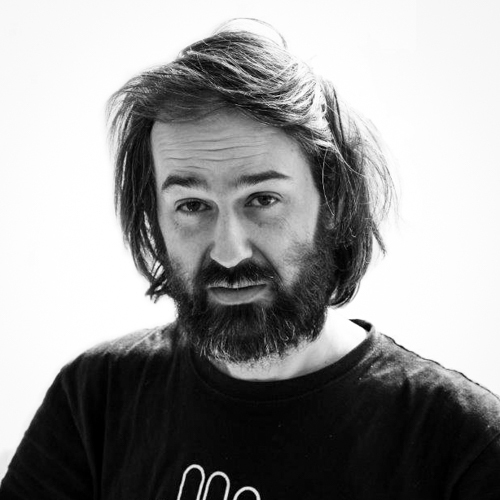 Founder and leader of Małe Instrumenty (Small Instruments), experimentator, musicologist, collector and constructor/designer of instruments and sound counstructions. In his sonic quest he chooses to exploit an impulse of curiosity leading towards discovering a sound/spatial potential of forgotten, unusual and musically undiscovered instruments, such as toys.